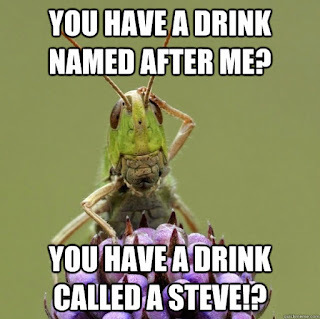 A grasshopper hops into a bar. The bartender says, "You're quite a celebrity around here. We've even got a drink named after you." 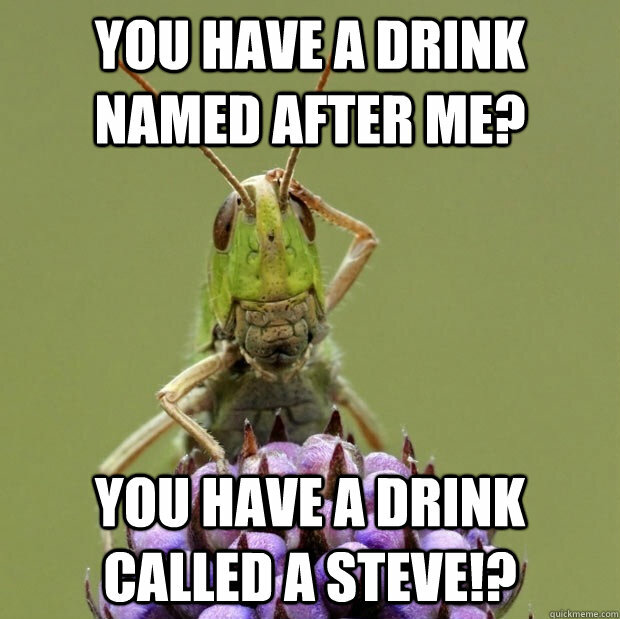 The grasshopper says, "You've got a drink named Steve?"